Michael Griffin, the White House’s nominee for defense undersecretary for research and engineering, has expressed his support to the Defense Innovation Unit Experimental and the Pentagon’s strategic capabilities office during his Senate confirmation hearing, Federal News Radio reported Thursday. 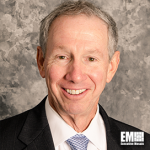 Griffin, former NASA administrator, told Senate Armed Services Committee members Thursday that DIUx and SCO work to facilitate the acquisition process, promote innovation and encourage companies to collaborate with DoD. He said he intends to reform the Pentagon’s weapons procurement process and address the “valley of death” between technology development and production once confirmed. “It’s very difficult to set aside and fence money specifically for transition, so one of the things I would like to do if I’m confirmed, is I would like to more formalize the role of transition offices,” he told lawmakers. “If we think we have a problem with transition… I think the first step to solving it is to put someone in charge of it and give them that task,” he added.